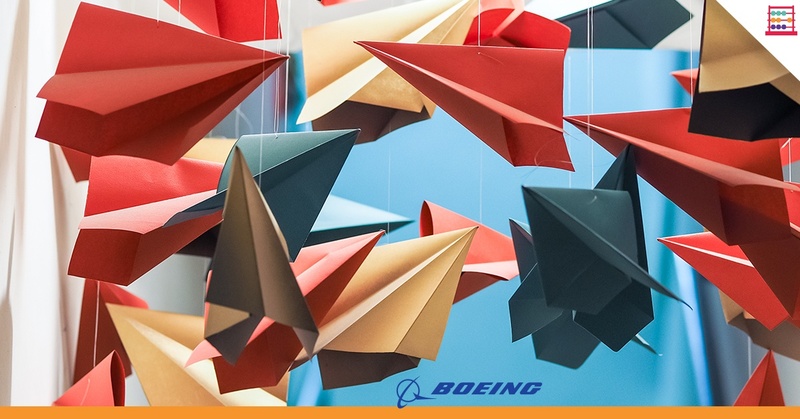 “Boeing”, the name that is synonymous with air travel is also the world’s largest aerospace company and leading manufacturer of commercial jetliners, defence, space and security systems. The Boeing Company (BA) has the biggest weighting on the Dow Jones Industrial Average Index at 9.22%. 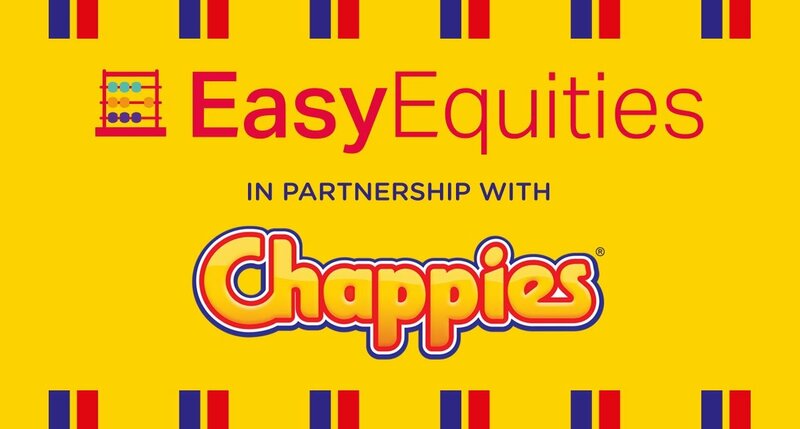 It also released a Dividend of $ 1.71 on the Ex-Div date of 9 August 2018. 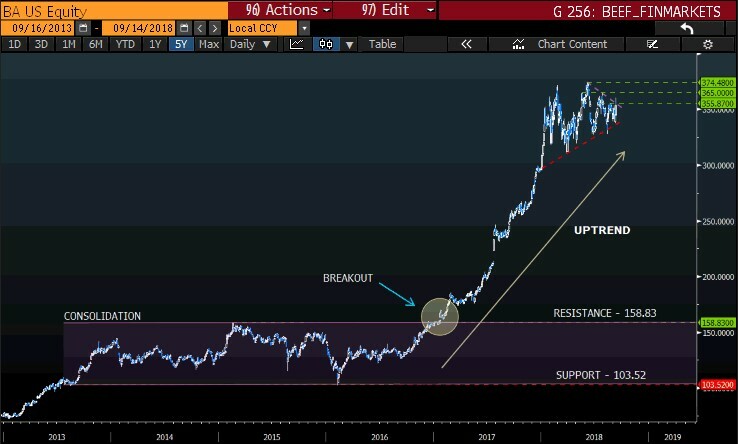 Looking at the long-term chart of Boeing we can see that the price action was in a consolidation phase from 2013 to the start of 2017. The price was trading in a range between a support level of $103.52 and finding resistance at the $ 158.83 per share. The price action broke out of the trading range and has been in an uptrend since. So, if we fast forward to the intraday chart we can see that the price is consolidating once more within a triangle pattern. We might see the price move lower (which will give a lower entry point) before it breaks out higher from the triangle. 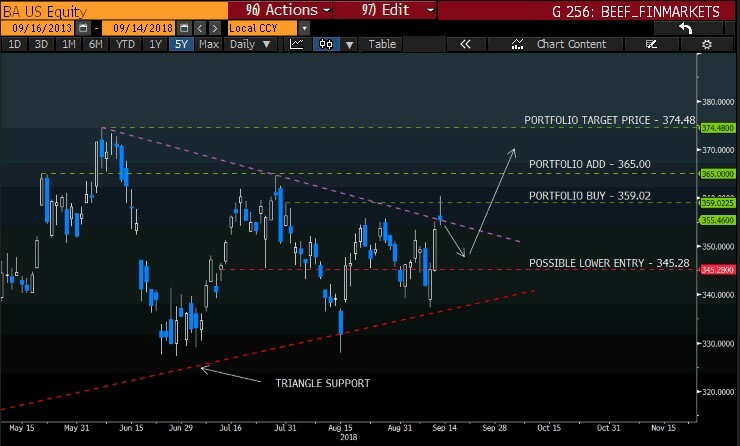 Take note that if we see the price action move lower beyond the triangle support (red dotted) line then the set-up would have failed to buy The Boeing Company as part of our portfolio for now. Best news of all is this stock is a #Trive50 share, which means 'Thrivalists' stand to pay $0 in brokerage fees when purchasing The Boeing Company (BA) stock on EasyEquities. Boeing was founded in 1916 by William E. Boeing. An empty Boeing 787 weighs close to 117,617 kilograms. That’s the equivalent of about 29 elephants. The Boeing 747 can cover 100 meters in 0.36 seconds, besting Bolt’s time by 9.22 seconds. The Wright brothers could have fit their historic first flight inside a Boeing 747.